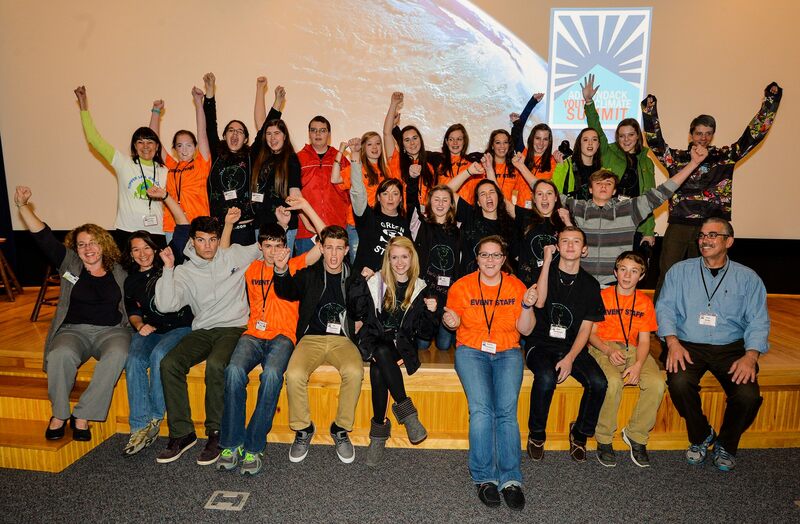 The Association for Science Technology Centers (ASTC) and The Wild Center have teamed up to share The Wild Center’s successful Youth Climate Summit format, designed to engage high school students in climate literacy through meaningful dialogue and action planning on climate change. Climate literacy education, especially in younger generations, continues to be an urgent issue. The Youth Climate Summit format allows for many institutions to join in an international effort to address this. Summits have been found to be powerful vehicles for inspiration, learning, community engagement and youth leadership development. The Summit’s projectbased learning surrounds the creation of a unique, student driven, sustainability effort and Climate Action Plan. This promotes leadership skills applicable and the tools necessary for a 21st Century workforce. This effort was highlighted as a commitment in support of the White House Office of Science & Technology Policy’s Climate Education and Literacy Initiative, with the goal of connecting American students and citizens with the best-available, science-based information about climate change.